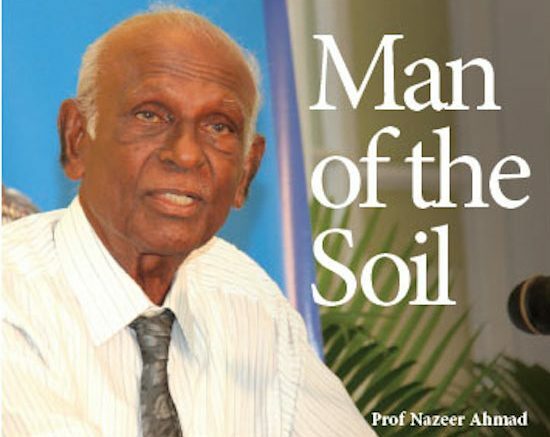 June 8th 2013: Professor Emeritus Nazeer A Ahmad died on Thursday at the age of 81. Professor Ahmad enjoyed wide international recognition for his work in Tropical Soil Science and traveled to over eighty five (85) countries of the world as a consultant and advisor in soil and land use problems. He was awarded the Inter-American Institute for Cooperation in Agriculture (IICA) Gold Medal for his contribution to research in Soil Science in the Caribbean and Latin American Region. Professor Ahmad is credited with having improved research and teaching facilities and he developed a postgraduate school of research in Soil Science. He built a sophisticated Soil Science Department that equaled those in developed countries and was the sole or joint supervisor of approximately one hundred (100) research students who are now working in many countries of the world. He was Professor Emeritus of the Department of Food Production in the Faculty of Food and Agriculture at the time of his passing. 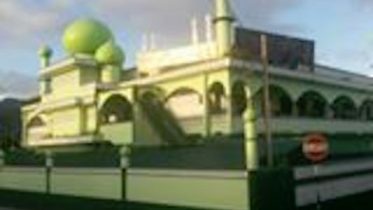 Ahmad’s funeral took place yesterday, and his body was interred at the UWI cemetery according to Muslim rites. Be the first to comment on "CARIBBEAN MOURNS LOSS OF SOIL EXPERT"